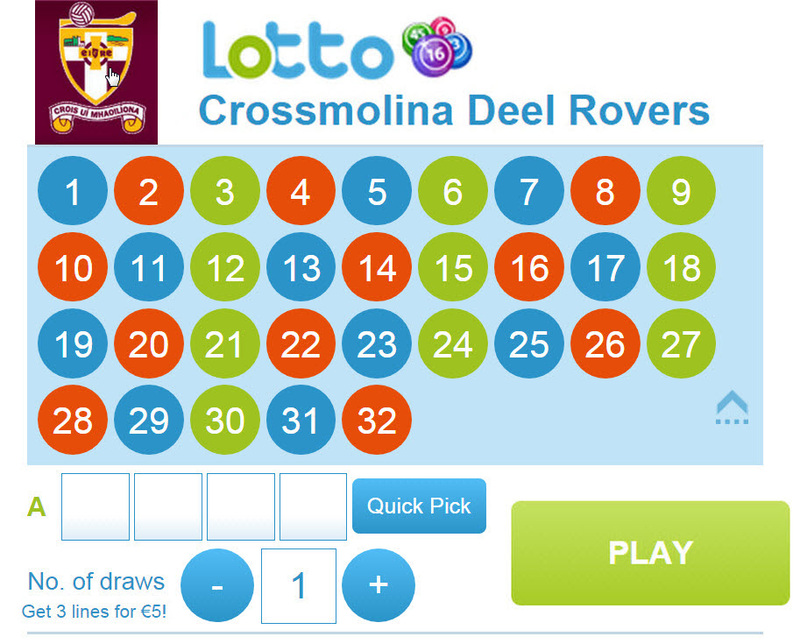 There was no winner of the Crossmolina Deel-Rovers GAA Club Lotto Jackpot on Saturday night 9TH of March 2019. The numbers were 8, 9, 19, 27, one punter matched three numbers, Ian Kelly and he wins €150. The draw took place in The Thatch Bar. This week’s jackpot is €4,050. Many thanks for your continued support. Lotto Team on duty is Team C; Annette Gray, David & Anne Fox, Eamon Howley, Marie Haran, Sheila Mullen and Josie Fox. 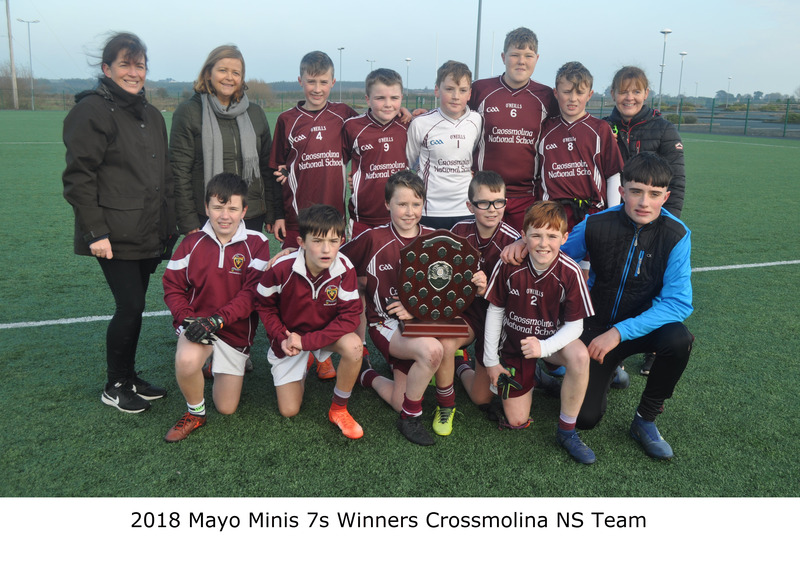 The annual Bord na nÓg Awards evening will take place on Wednesday the 20th March 2019 at 7.30pm in the Crossmolina Deelrovers Sports Hall. Special guest on the night is our own Conor Loftus. Please support this annual event. SafeTALK teaches participants to recognize and engage persons who might be having thoughts of suicide and to connect them with community resources trained in suicide intervention. SafeTALK stresses safety while challenging taboos that inhibit open talk about suicide. Training is FREE but booking is essential (LIMITED PLACES) Visithttps://bookwhen.com/srotraininggmr to book place! 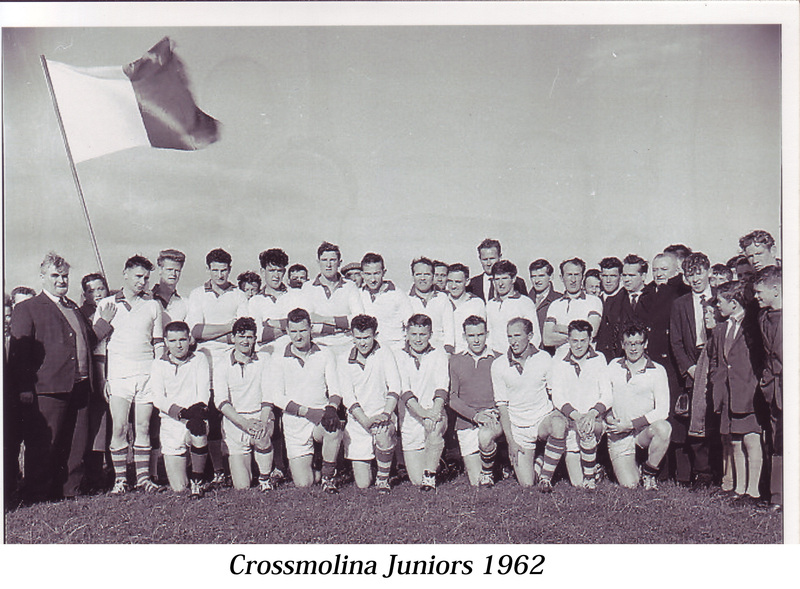 Crossmolina; Kieran Haran, Darren Caden, Joe Keane, Jason Murphy, Steven Duffy, Kevin Mulhern (0-01), David Howley, Martin McAndrew, Keith Hopkins, John Garrett, Mikie Loftus, Shane McKinley, Fionan Duffy (0-06), James Cafferty, JP Mulhern. Subs; Patrick Loftus for Kieran Haran, Tommy Walsh for James Cafferty, Jordan Flynn for Keith Hopkins, Fiachra Walsh (0-01) for John Garrett, Derek Hegarty for JP Mulhern, Tom Cafferty for David Howley, Conor Rowland for Jason Murphy, Martin Connor for Shane McKinley, Liam Donohoe for Fionan Duffy. McHale Rovers of to a winning start in 2019. McHale Rovers Adult ladies team played Cill Chomain in the new adult ladies competition on Sunday 3/03/2019. Mchale Rovers won with a scoreline of 4-16 to 0-2. Thanks to all who sold and bought the GAA National Draw Tickets. All proceeds go directly into running the club and upgrading the facilities for all our members. All tickets bought have been processed and sent in for the national draw that takes place next month in Croke Park. Best of luck to all that entered!! The draw was held for all who sold tickets and the winners of a €100 County Board draw ticket each are John & Marian McLoughlin Ballina Road and Mickey Loftus Lake Road, Congratulations and best of luck in the draws over the summer. The 2019 Festival Of Lights takes places from March. 15th - 17th with Ireland's original "St. Patrick's Light Parade" on March 17th at 7:30pm. You can register your entry for the parade, FREE OF CHARGE, by email to crossmolinafestivalevents@gmail.com or call 087 1871552, 087 9919794 or 087 4176291. We would like to have all entries in the Parade registered before Sunday, the 10th of March 2019. As plans progress for this Summer’s Nephin Festival the committee are looking for ideas for events that will cater for the senior members of the community as some of the regular events from past festivals will not be included this year. There are forms available in the Post Office and we ask that people take a form, fill it out with ideas on events they would like included this year and return to the Post Office before March 25th. Click here for the 36th edition of the Mayo PPN newsletter. Any adults wishing to pay membership are asked to contact Mary Lynn at 0876430598 for new membership forms and GDPR compliance. 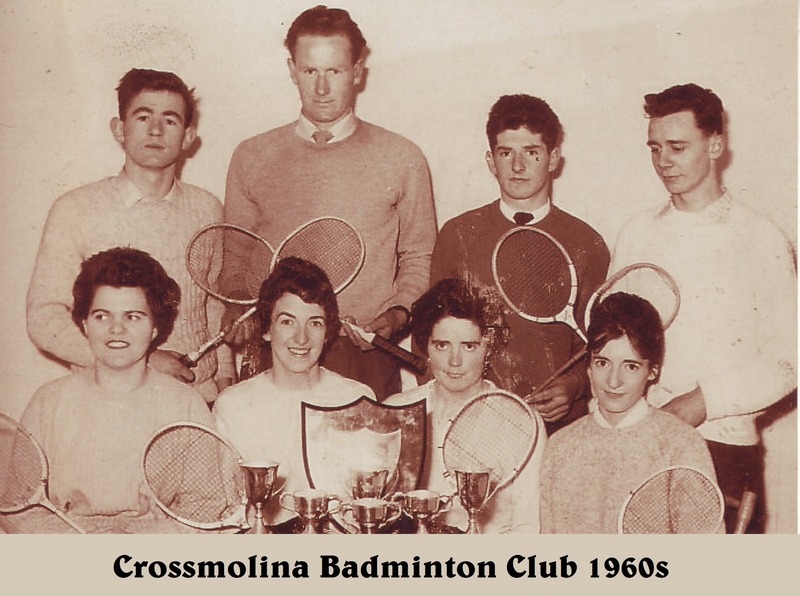 At the Executive meeting of the Crossmolina Deel-Rovers G A A Club on Tuesday night 12th February. Votes of sympathy were expressed to the families of the following who died recently. Francis Standish Offaly mother of Sarah Loftus Creevy Castlehill, Frank Fox Church St Crossmolina, Michael Garrett Church Rd Crossmolina, Julia Naughton nee Dowling Cardiff Wales sister – in – law of Frank Naughton Enniscoe, Bridie Walls nee McGuinness Ard Na Mara Salthill Galway sister of Sean McGuinness Lecarrow, Josephine Armstrong nee Fahy Thomas St and formerly of Sarnaught Castlebar mother – in – law of Martin Gilroy St Marys Park Winnie Kelly nee Clancy Lemington Spa England aunt of Padraic Clancy Carrowcluughy, Patrick McAndrew Bangor uncle of Rose Clancy Carrowcloughy, Willie Hopkins Tullyegan and Crossmolina, Mary Moran Nee McNeela 20 Erris Rd Crossmolina, Peggie Lawler Dublin mother of Dave Cuilacurrane , Johnny Noone Cloughbrack, Bofeenaun Martin Sheehy Kerry brother of Hannah Timoney St Marys Park, Philip McDonnell Balally Park Dundrun Dublin formerly of Ballyvichmaha Castlehill, Tom McGuire Enniscrone husband of Imelda Loftus Creevy Castlehill. May they rest in peace. Deelrovers GAA Club: Tuesday main hall, over 55's project, includes cardio vascular fitness, weight bearing, balance, coordination, flexibility, joint mobility, stretching, relaxation. Wed meeting room, legs, bums and tums 6:45pm - 7:15pm. Complete beginners to exercise new course starting 27th Feb 7:30pm - 8:30pm. Tel. Erris Fitness on:- 0863904370. All Club members are asked to email deelrovers@gmail.com with any jobs that they see needs doing around the GAA grounds. We are actively seeking suggestions on any way to improve our Club.